Nearly 100 years after Charlie Chaplin silently but swiftly captivated the film world with a cane, a bowler hat and a keen understanding of slapstick, his granddaughter awaits her turn in the spotlight. 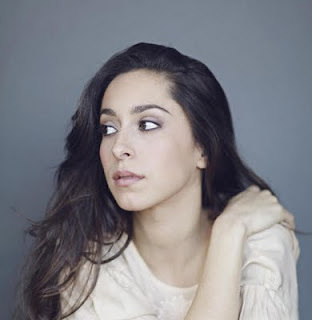 Yup, Charlie Chaplin has an actress granddaughter - her name’s Oona Chaplin. She’s 24 and doesn’t have many credits to her name as of yet, but here’s why you should pay attention: According to Access Hollywood, she’ll appear on the second season of HBO’s Game of Thrones - a buzzworthy show that’s racked up a ton of Emmy noms this year. Plus, with a family tree like hers, she’s sure to go far. Get this: In addition to having Charlie Chaplin for a granddad, Oona’s grandmother and namesake Oona O’Neill (above) was the daughter of playwright Eugene O’Neill. Chaplin married Oona O’Neill in 1943, when he was 54 and she was just 18. Can’t say the marriage was a sham though - they had eight kids together and remained married until Chaplin’s death in 1977. 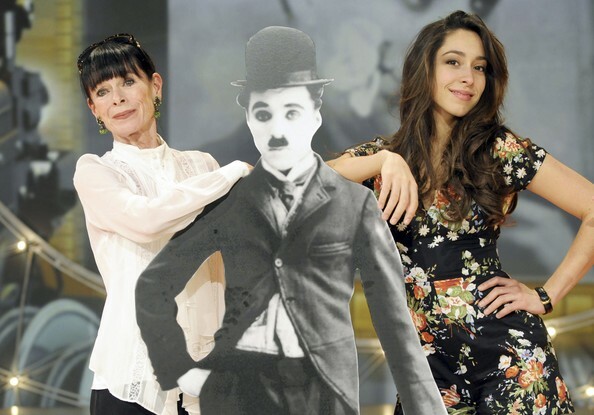 Oona’s parents are actress Geraldine Chaplin (below) and Chilean cinematographer Patrico Castillo. No need to ponder her path - sounds like it’s predestined! This is very intriguing news. I'm very excited to see her on Game of Thrones! 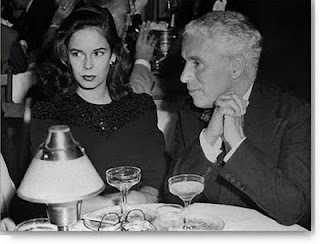 Your still of Charlie Chaplin and his wife Oona is in fact Chaplin with his then wife, Paulette Goddard. Oops! Thanks for the heads up, Mike! Fixed. I am 11 years old and i beleive i am some how related to charlie chaplin. I would love to know a bit more about his family tree and if later on the Boxers where maried into his family. You were right the first time. That is Oona O'Neill in the picture with Charlie. That is definitely NOT Paulette Goddard. Customers specifications are being one by the packers and movers you also provide the excellent alternatives and information which is needed by the people. Accordingly technique the whole shift and do not hurry at all. Fourth, attend the process of overall look and loading: it is recommended to keep a watch on is important overall look and operating i.e. In situation you are the primary one discovering cash for many submission costs and then begin looking at moving price that has a extensive wide range of moving companies. Invest a while, look for support from friends, friends moreover to relations associated with suggestions, and find out one that provides the needs you have moreover to cost-effective situation. It's also sensible to look for insurance policy technique strategy applications that could efficiently effectively properly secured your own material over the transport. era and gives chest e fit shape. It as well offers lodging some help with enhancing companionship and diminishing despair. Powerful Information is not boring at all ..
Barokalloh Friday, thank you for sharing the information and hopefully useful. It's Always the Quiet Ones!